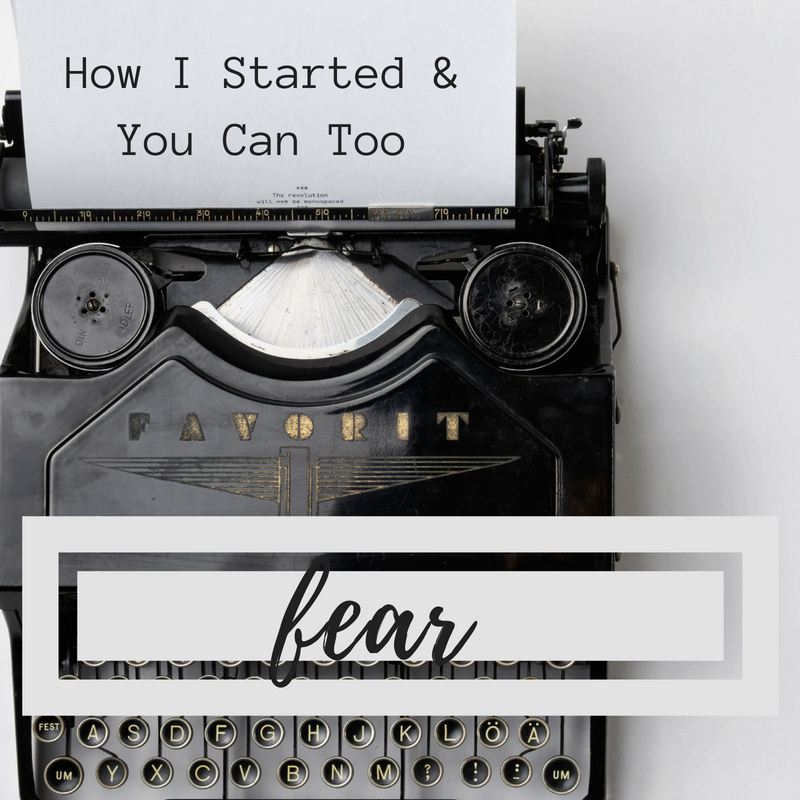 In the beginning, fear ruled my writing. From teenager to adulthood, I had hidden my words in secret places. Then one day, about 15 years ago, I burned it all. I destroyed every poem, short story, and all my work. I began a-fresh. I became a blank slate. With nothing. No promise to ever write one tittle of a word or anything, ever again. And I just lived. For a season, it was enough. But it wasn’t long, several years later in fact, that words began to speak inside me like a flower bulb buried deep under the earth reaching for the light. They were small tokens. Eventually, up came a poem, here or there. That was all. More time passed, until I knew it was time to stop hiding from no one in particular, except my ego. I longed for something to happen and waited for it to land in my lap. Surely there was a proverbial and divine sky from which these things fell. It never did. But if it had, I was ill-prepared and even more ill-equipped. The time had come. I was called out from safety. I called out because words became my survival, having landed on our farm in 2008. All those years of not writing much, what had it gotten me? Nothing. My self-protection, my no-risk approach to live, waned on me. This mentatlity stunted my creative thoughts. I sorely needed release, a place to go and be who God made me to be. That’s when I began to blog at my first place–If Meadows Speak. To think I even could such a thing, felt foolish. But I’d rather look foolish than live with regret. Or with fear. My self-esteem suffered greatly in the process. My ego died a horrible death. I was going to write. Oh, it was terrible and horrible at first and actually each new day I write, I cringe at yesterday’s work. But at least I’m practicing the push past fear, no matter the horrible-ness, and striving for better. If nothing else, I’m alive with passion. When I stand up and begin to stake my self, when I step out in faith (and fear), I grow stronger. Bolder. And I learn, oh how I learn–mostly about myself. But with my new-founded education, I would hope that I’d be more able to help others grow too. That’s what If Meadows Speak did for me. It holds a lot of my secrets. My faith journey had trials and tribulations during my time there, but it also holds revelations. My cover picture was a mirror, no less. But if you notice, I’ve diverted my attention to what could be myself reflected back. 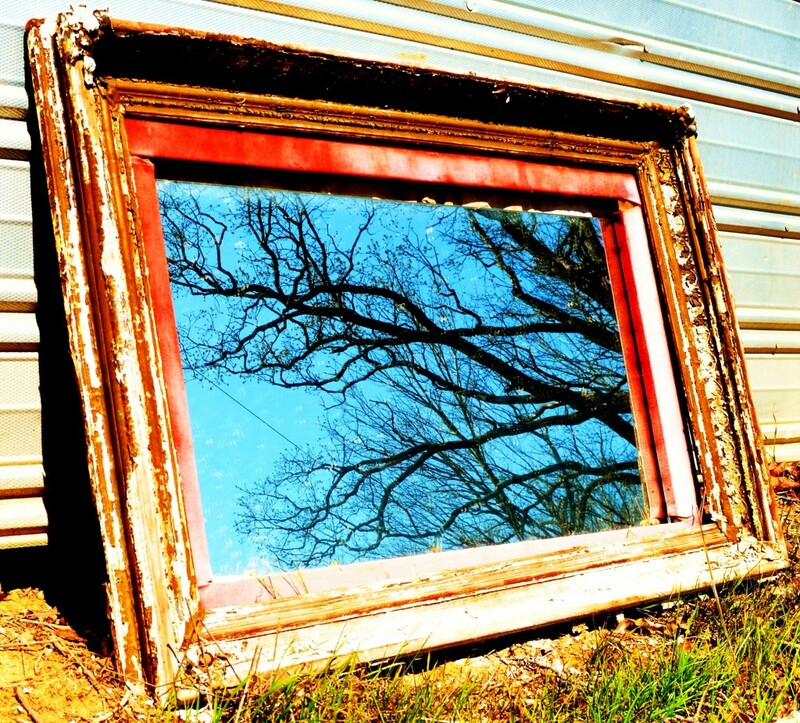 Instead, I’ve focused on the beauty just beyond the mirror. Courage does that for us. It helps us to get past ourselves and see the wide open sky, the glory of God’s hand. This is why we practice “the art of fear not.” Because everything is a heart attack of panic when we look in the mirror of our passions and only see ourselves in it. But if we step aside, we are able to see the depth and goodness that is more than us. I’ve just entered into a completely new season as stay-home wife, and though going with God on this adventure can be fun & exciting, I have experienced moments of fear and panic too. But God is good. And His journey – like what you shared – goes beyond so much more than just us, more than what we can see.